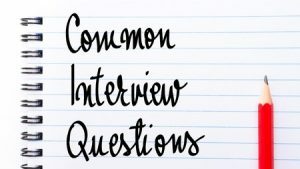 Interview questions Archives - Interview coaching in-person or video | Interview Questions – Answered! Why Are They Asking These Interview Questions? Have you ever asked yourself why are they asking these interview questions? People sometimes feel they did not do their best at their job interview. This has several reasons. First, in general, most people do not prepare sufficiently for that oral test commonly known as the job interview. They simply don’t know how to. But because of their past successes at landing jobs, they feel that that validates the fact that they must be good. Second, some job candidates take the time to prepare, but they do not make extra efforts at practicing interviewing—namely, by doing mock interviews with someone who can point out their weak spots and help them improve. And third, they don’t understand what’s really behind common interview questions. Let’s go through some here. The most common interview question is, “Tell me about yourself.” Well, it’s not exactly a question, but it is indeed an unfinished sentence because when you hear those words in an interview, what’s really behind them is the real question: “Tell me about yourself in a way that demonstrates to me your qualifications to help us meet our challenges by reciting at least one relevant success story.” Now that you know that, it will be much easier to craft a good answer. Another common interview question is, “What are your strengths?” Behind this one, the interviewer is looking to see whether you’re prepared for the interview and whether you can recite eloquently and succinctly what your strengths are. Again, the interviewer hopes your examples will be pertinent and relevant to the company’s needs. If your recited strengths are valid but not for current company needs, your answer is tantamount to serving someone a wonderful dessert after a huge meal. Yes, it’s good, but there is little appetite left. After the strengths question, it is very common to be asked, “What are your weaknesses?” Admittedly, this is a difficult question. What’s behind this one is an interviewer who’s curious first about your honesty and then about whether you reveal something that might be a serious impediment to your candidacy. Or perhaps you’re completely dumbfounded and unprepared—and that’s not a good sign. “Why are you interested working for us?” is another important and common question. Behind this question, the interviewer does not want to hear what you think is good for you about the position. Instead, you are being given an opportunity to prove to the interviewer what you can do for the company, not for yourself. And above all, you should answer this question with a heightened level of excitement. This is what the interviewer is expecting to see, and if your answer is not memorable, then the interpretation will be that you’re probably not very serious and not very interested. In an interview, exhibiting your excitement via body language and facial expressions is more important than the words you say. Another question that always comes up in an interview, provided they like you, is, “So, how much money are you looking for?” This question is commonly misunderstood because some job candidates think the interviewer is close to closing the deal and ready to negotiate. Absolutely not! Don’t be misled by that question. You as a candidate have no negotiation power at this stage. You were not offered anything yet. The real thought behind the question is, “I like what I see so far, but I wonder whether I can afford you.” That’s why a good answer here will consist of a reasonably wide range, the lowest end of which has to be the lowest compensation you’re willing to accept. So, not until you have in your hand that letter whose first word is Congratulations are you ready to start negotiating. But the subject of salary negotiation has to be left for another article in the future. This entry was posted in Find a job, Interviewing skills and tagged Interview questions on September 18, 2016 by Alex Freund. We may not recognize or admit it, but each of us is driven by our own personal psychology–and so is the interviewer. Therefore, the better we understand the decision maker the better we can answer his questions thus improving the chances for getting the job. This sounds logical doesn’t it? So let’s talk about the types of interviewers one may face. There are a number of systems that are used to label people; DISC is one of them and there are others as well. While working for a major pharmaceutical company, I was introduced to another system, called MBS, Management By Strengths (www.strengths.com). MBS is very simple to use and could prove extremely helpful. As a job candidate, if you can quickly identify what type of person the interviewer is and adapt to his style and needs, you’ve already achieved at least 50 percent success. MBS recognizes four types of people, and to make the system memorable, the people are identified by colors as follows. RED stands for directness. Red types focus on the result, on being in control, and on solving problems. They have strong egos and are hard-driving and decisive. Most of the time reds are calm, but occasionally they erupt like volcanoes, letting you have it. And then everything goes back to normal. Being interviewed by a red requires that you be direct and to the point. Red will want you to explain WHAT. Focus on results, and talk about actions. GREEN stands for extroversion. Here the focus is on people. Green types are outgoing, cheerful, mostly positive, enthusiastic, and pleasant. They like teamwork–working with people. Greens are talkative: Have you had an interview where the interviewer did the lion’s share of the talking? How frustrating! During an interview with a green, you should show enthusiasm, be interactive, and explain WHO. Elaborate on your involvement with teams, act friendly, and be open. BLUE stands for pace. Blue types value timing, harmony, and cooperation. They seem cool under pressure. They hate being rushed and are therefore excellent planners. Schedules and deadlines are very important to blues. They seem relaxed and easygoing. When interviewing with a blue, show that you’re calm and in control. Explain WHEN. Focus on timing and harmony. Show how you kept everything under control and on time. YELLOW stands for structure. Yellow types are constantly taking notes. They believe that if it’s in writing, then it’s a fact. In their lives, everything is filed away for future use. In their offices there are papers, files, books everywhere. Yellows are naturally good organizers. They love to be right and hate to be criticized. Therefore they gather all the facts and are very careful and slow in making decisions. Yellows don’t take change well. They appreciate knowing the rules, expectations, and instructions. When interviewing with a yellow, explain WHY. Be as detailed as possible. Focus on doing the right things. Talk about documented facts. Act organized and specific. So, now that you know the basics about these four types of people, your job is to quickly decide what color your interviewer is. If you’re able to align with the interviewer’s traits, your chances for a successful interview are immensely increased. This entry was posted in job search advice and tagged Interview coaching, Interview questions, Interview techniques, Job interview on June 7, 2013 by Alex Freund. The formula expressed in the title sounds so simple yet for some is difficult to achieve. So let’s together demystify the two elements for getting a job offer. This entry was posted in job search advice and tagged Interview preparation, Interview questions, Interview skills, resume, Resume writer on June 6, 2013 by Alex Freund.